Shortly after I wrote and published this post, I contacted the folks at sendit.com and asked if they thought my copy of Xenoblade Chronicles (which I ordered on July 6 and which was shipped, or "despatched," on Aug. 16) was still making its way across the ocean to my doorstep or if they thought it had gotten lost somewhere along the way. Sadly, their response suggested that the latter option is more likely than the former. They even had me fill out a form that asked how I'd like them to proceed--i.e., should they send another copy of the game or give me a refund? I chose "give me a refund," so hopefully they'll do just that in the next few days. Will I ever see this title screen on my TV? Dang. That's SO bogus. Doesn't that just take the wind right out of your sails? But don't worry. It'll totally be worth the wait. That's too bad, Bryan! But you know, if you ever want a PAL game in the future I'd be happy to buy one and ship it to you! I love the readers of your blog, Bryan...they're all so sweet! Doesn't that make it all worth it, to have apricotsushi offer to do the leg work? MAkes my heart warm. I'm guessing you're not one to procure games by less legitimate means? Hey there, Jyr! Actually, I'm not against that at all. I just really want to own a physical copy of this game, since I'm 99.9% sure I'll love it. Also, I tend to prefer owning physical copies of games, especially current-gen ones. Heck, I prefer to own physical copies of previous-gen games, too -- if I can find them and if they're not horrifically expensive. I'd be more than happy to act as a middle man (er, woman) for anyone who frequents this blog who wanted PAL copies of games. I totally understand the horrors of importing! Hello again, Anne! Actually, I'm not all that interested in The Last Story. I think it looks great, but based on what I've heard of its gameplay, I don't think it's my kind of game. Pandora's Tower, though, interests me quite a bit more. I wonder if you guys will get that one, too? Also, you really *do* need to get a Wii :P Of course, it'll surely see a price drop next year, and probably early on, so maybe you can pick one up after that happens. I heard Last Story is similar to Xenoblade in terms of gameplay which is a good thing. Like FFXII but not boring and with good strategic options. 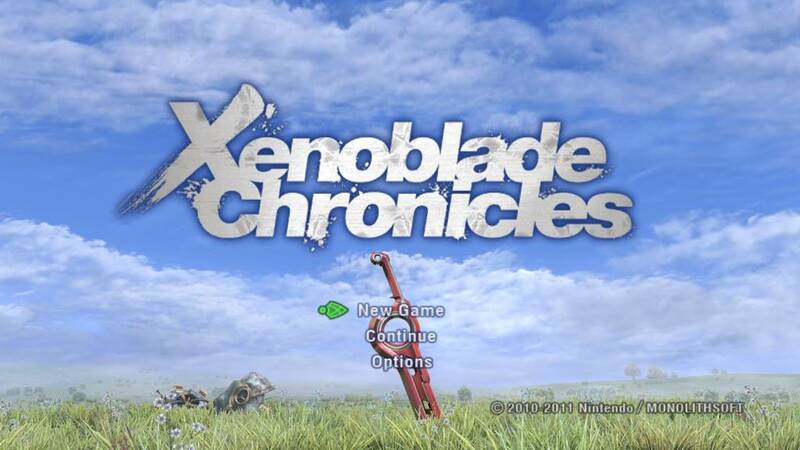 Hope you do eventually get to play Xenoblade, I'm really enjoying it. Hmm, I thought Last Story was supposed to be more action-oriented? I may be wrong, though. Guess I'll have to do some reading (and watching of YouTube videos) later this week! As for Xenoblade: I'll definitely be getting it, no ifs, ands or buts! What do you like most about it so far, Retr0gamer? And how long have you been playing it/how far are you into it? Since Pandora's Tower is slated for a 2012 release in Europe, I'd expect it'd make it's way over to AU, too! Looks like I'll have a lot of Wii RPGs on my hands. Well. here's hoping both that Pandora's Tower comes your way and that you get a Wii to play it (and Xenoblade and Last Story) with! Well I like my RPG battle systems to be strategic and make you think about battles. FFXII had a lot of promise but I felt you could beat it with little input and the bosses are all handled the same way. There's a lot more to the Xenoblade battle system. I find it quicker and a lot more fun and more involving. I'm about 30 hours into the game but not all that far into it because I'm having a blast doing all the optional quests. It's great fun exploring the regions in the world and very rewarding. Everything else in the game is top notch as well from the voice acting to the production values. I find it hard to fault. Even if you get bored of the side missions they are optional and cna be skipped. I heard last story is more about using the main character to control the position of enemies so your mages can do more damage. seems a bit like a mix of xenoblade and resonance of faith. I've only heard one persons opinion on it but they loved it. As for The Last Story: Are you planning to buy it? If so, maybe I'll wait to hear your impressions of it. If you like it as much as you've liked Xenoblade so far, maybe I'll consider buying it, too. Huh, I've heard the opposite, mostly -- that Xenoblade is great and that Last Story is just OK. Anyway, I'll definitely be getting Xenoblade shortly. Who knows if they'll do another reprint if this batch sells out?